Ever since the launch of Instagram for Video, there’s been one thing that was so obviously missing that we actually asked where it was during the announcement itself (well, during the Q&A afterward, at least): video importing. Up until now, any video you wanted to push into Instagram had to be shot through the Instagram app. 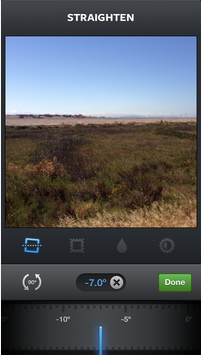 If you had something sitting in your camera roll already that you wanted to upload… well, bummer. No longer. handle editing, and they wanted people to be shooting Instagram videos through Instagram. The problem with that last bit, though, is that it’s… not really how good (non-scripted) video happens. The best moments to share with video are the ones that you don’t expect; they’re the things that just so happen to occur while you’re recording, not because you’re recording. Capped at just 15 seconds, Instagram’s built-in video recorder isn’t very good at capturing these little bouts of serendipity. The update should start rolling out to both Android and iOS users today, so keep your eyes peeled.